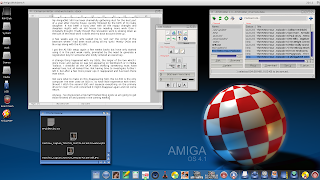 A blog about using AmigaOS 4.1 on an AmigaONE 500 and my AmigaOS projects. My AmigaONE 500 has been gathering dust for the best part of a year after moving house and the birth of our baby daughter. It has been a busy year with all the nappy changes and sleepless nights with the house needing more work than I initially thought. Finally now the renovation work on the house is slowing down as the bulk of the major work is done and my back account has dried up. A few weeks ago my wife tasked me to ’sort out’ the corner of our bedroom where I had been stock piling all my ’junk’. Mostly DVDs and blu–rays, but amongst it all nestled my A1–500. So got the A1–500 setup again but have only started using it in the past week really, prompted by the need to generate a registration key for someone who kindly ordered an Assist. A strange thing happened with my SSDs while the A1-500 was in 'storage', the larger of the two drives was not appearing on Workbench or in Media Toolbox. 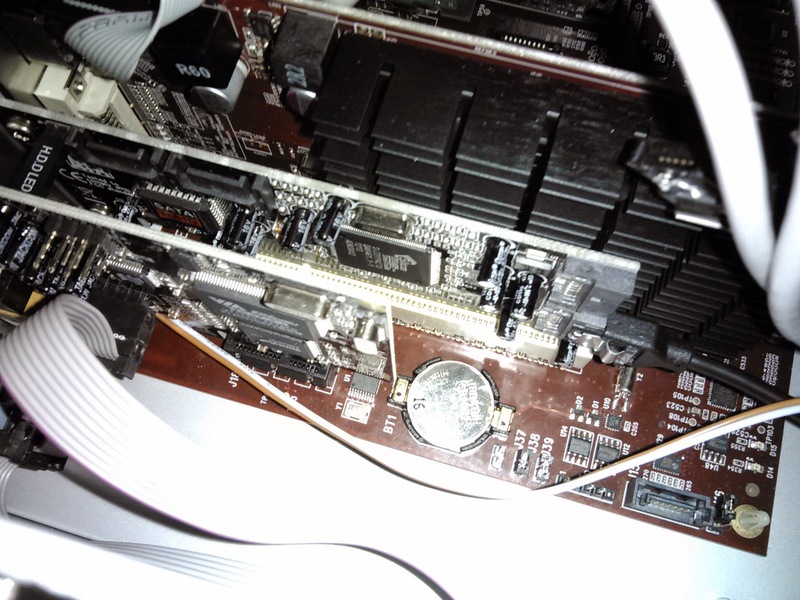 I checked all the SATA leads thinking something must have worked lose, but all looked fine. Not having time to investigate further I left it, but after a few more power ups it reappeared and has been there ever since. Not sure what to make of the disappearing SSD as have little experience with them. Should I ditch the second SSD and squeeze everything on the primary drive for now? I’m a bit concerned it might disappear again and not return. Anyway, I’ve discovered a few half finsihed blog posts so I'm going to get them finished off and posted in the coming weeks. Watch this space! © 2013-2018 Daniel Hutchinson. Simple theme. Theme images by fpm. Powered by Blogger.